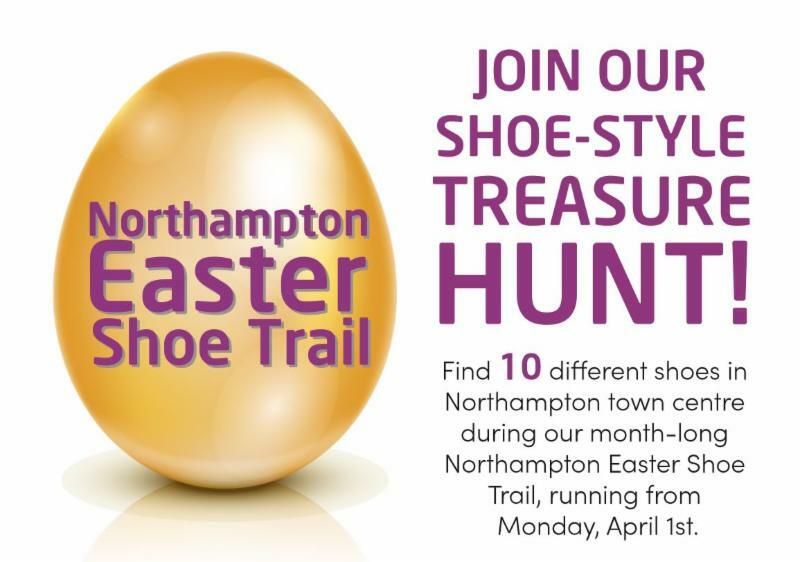 Our Northampton Easter Shoe Trail is now underway and families are exploring the town centre, hunting for 10 shoe themed posters displayed in shop and business windows. 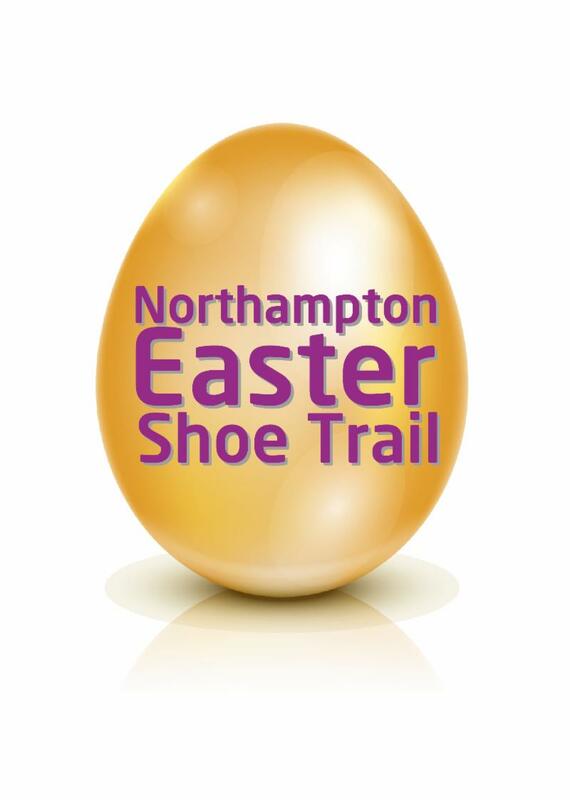 As an Eggstra special treat we have teamed up with Northampton Borough Council for Easter weekend, who are running a Big Easter Giveaway weekend to complement our trail. On Friday 19th and Saturday 20th April, 10am to 3pm, people taking part in our Easter Shoe Trail will be able to enter into an additional prize draw. 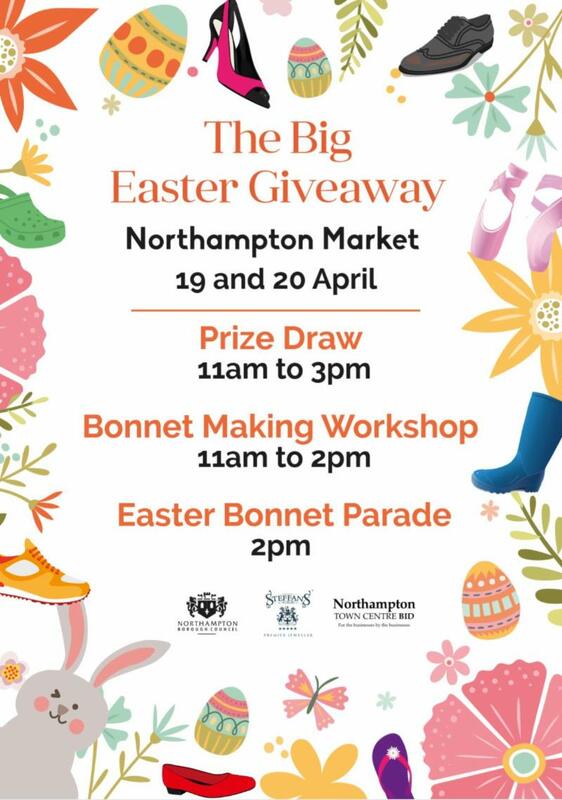 Once participants have completed our shoe-style treasure hunt they will be able to post their entry forms into a Big Easter Give Away post box on the Market Square and select a chocolate egg from the Easter bunny’s basket. In the meantime keep telling your customers about shoe trail and signpost people to our website, complete with dates and a downloadable entry form HERE. 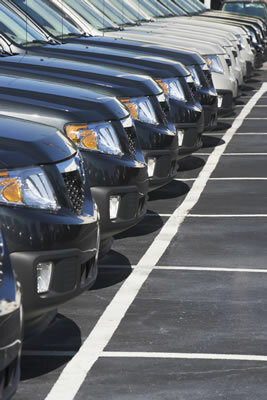 Following the BID's car parking consultation meeting a BID working group has met with the council to suggest alternatives to the proposed car parking charge increases. The local press has also picked up and run with the story and our executive director Rob Purdie was interviewed on BBC Radio Northampton and by the Chronicle & Echo - view the article HERE . Since the April 1st meeting, at which the council agreed to listen to BID views, a small BID facilitated working group has met for the first time - made up of town centre businesses, all of which had attended the consultation meeting on 1st April (thank you to everyone who attended and volunteered their time). Suggestions have been submitted to the council around car parking charges and the council is now calculating whether these can meet the needs of both the council and businesses. As soon as we hear from the council we will update you. 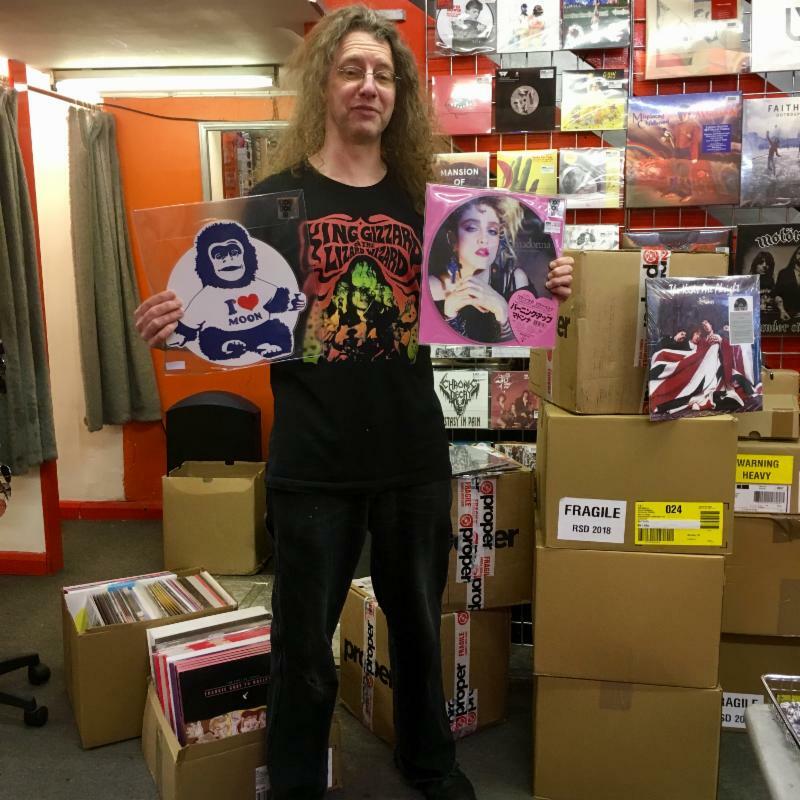 Record Store Day is back on Saturday with shops and collectors across Northampton getting ready for this year’s event. Now in its 11th year, Record Store Day seeks to champion the best record shops across the UK with limited edition releases by hundreds of artists. Spun Out in Gold Street (pictured) and Vinyl Underground in Abington Street will be stocking a selection of the official releases. The BID's Spring newsletter has now been delivered to town centre businesses. If you want any additional copies please get in touch. In the meantime you can also read the latest news online. Simply click HERE . 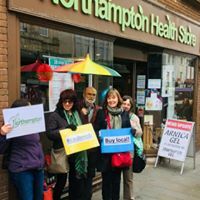 Saturday’s Cash Mob was at Northampton Health Store - an event d esigned to encourage more people to shop local. These are being run by not-for-profit organisation, Transition Town Northampton. If you are a chosen business you will be told in advance, but there's no need to make any special preparations - it's a fun event aimed at promoting our town centre. 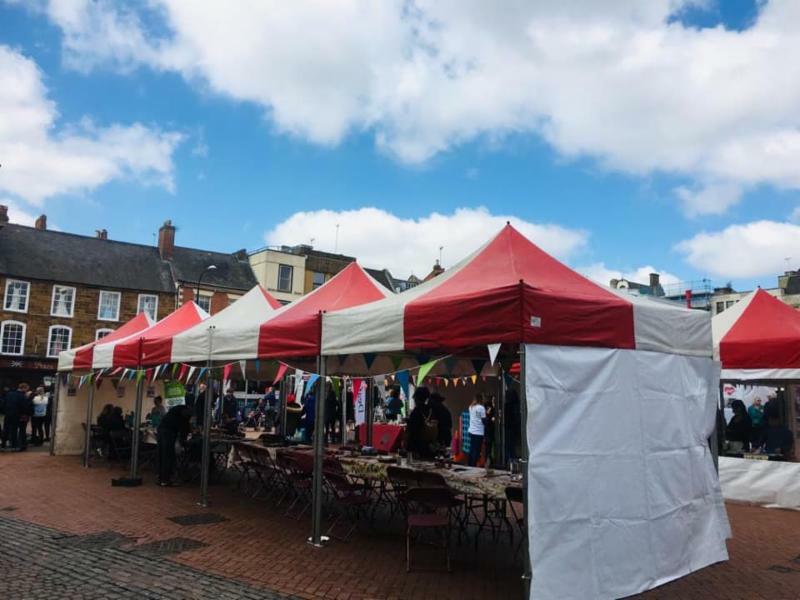 Another event this weekend was The Big Lunch on the Market Square - designed to shine a light on community connection and to inspire even more people to hold a Big Lunch in June 1st and 2nd. We will keep you updated. Northampton town centre Business Improvement District (BID) is hosting a series of 30 minute workshops - on topics and challenges pertinent to town centre businesses. The next one is Tuesday 23rd April and will focus on customer service. Paul Beesley from Beyond Theory, a Northampton town centre based training and coaching specialist, will cover ways businesses can take a more strategic approach to provide the highest levels of customer service. This session will take place in The Platform, on George Row. Refreshments will be available to purchase at the ground floor cafe. Please note, this workshop is only open to levy paying businesses and is NOT open to businesses outside the BID area or local residents. Find out more and book HERE . Friday, 1st June - Sunday, 3rd June - Northampton Beer Festival - in Becket's Park. Find out more HERE. 1st-2nd June - The Big Lunch. Details HERE. Saturday, 8th June - Northampton Carnival. The parade will leave the Racecourse at 2pm and arrive in Abington Square at 2.35pm, then moving on to St Giles Street, the Guildhall, up Abington Street and back to Abington Square for 3.35pm. More details HERE. Sunday, 16th June - Northampton Music Festival, supported by Northampton town centre BID. Find out more HERE. 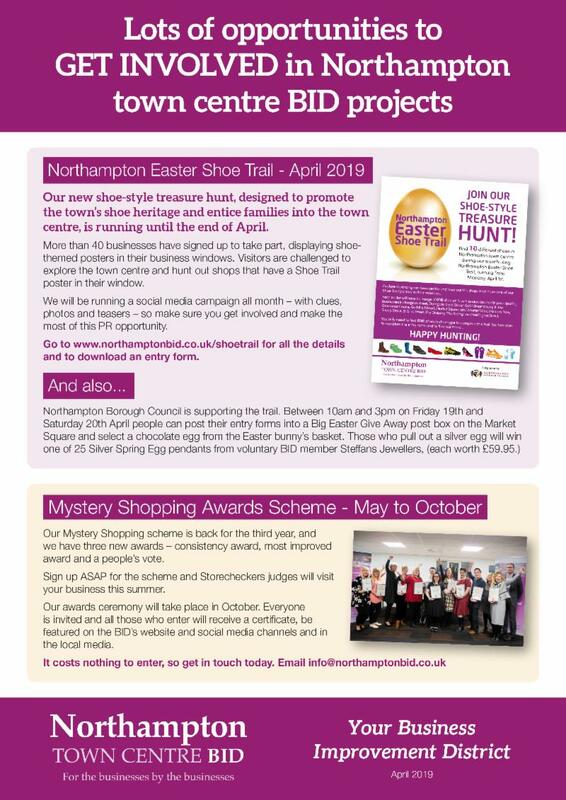 Our Northampton Easter Shoe Trail is now underway and we have over 40 businesses taking part - with pictures of shoes displayed in shop windows across the town centre. Thousands of entry forms have been printed and delivered to participating businesses, to some schools, to the Guildhall and the library. If you haven't signed up yet it isn't too late. Chat to our Host Kimberley or contact the BID office. This is a brilliant way to promote your business and benefit from the extra visitors this month. Our Easter trail has already been featured in the Chronicle & Echo (click HERE) and NN Pulse magazine (click HER E ). Signpost your customers to our website, complete with dates and a downloadable entry form HERE. We got the meeting, our members were able to directly challenge the decision making process and we had a frank and full exchange of views. For the first time the BID brought councillors and officers together to face questions from town centre businesses about proposed increases in car parking tariffs. There was an overwhelming consensus that it is imperative to make the town centre more attractive to visit - and that increasing car parking charges will do the opposite. Businesses were vocal in their request for parking charges NOT to be increased, with numerous alternatives discussed and presented. Rob Purdie, BID Executive Director, spoke at this week's meeting: "We were told too late about this proposal and need to be involved at the early stages in these types of consultations. Raising car parking costs is a reason for people not to come into the town centre. The depth of feeling in this room demonstrates how deeply our BID businesses feel about this issue." The outcome of the meeting is that the borough council agreed that if the BID forms a small working group it can sit down with council officers in the next week to see if any alternative approaches to the proposed charge increases can be considered. Saturday 6th April from 12-4pm - The Big Lunch and Lewis Foundation are teaming up to hold an event in the Market Square. Earlier this year, The Big Lunch commissioned research that showed that more than half of us in the UK (36 million people) feel distant from our neighbours, and that 75% of us felt there were barriers to getting closer to them. Despite the alarming trend for community disconnection, last year a whopping 730 Big Lunches took place across Northamptonshire, with 65,000 people taking part in the UK’s annual get together for neighbours. Research from The Big Lunch also shows that, since 2011, it is estimated that 47,000 new friendships have been made across Northamptonshire, as a result of The Big Lunch. Local independent traders are welcome to have a stall at the event to promote and sell products. Go to www.thebiglunch.com for details.